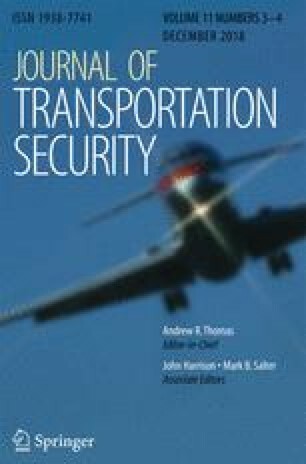 A systems reliability analysis is developed that includes 18 layers of security that might disrupt a terrorist organisation undeterred and intent on downing an airliner with a passenger-borne bomb. Overall, they reduce the risk that such an attack would be successful by 93%. The odds that a lone wolf will be successful in such an attack are considerably lower. This level of risk reduction is very robust: security remains high even when the disruption rates that make it up are varied considerably. The same model is used to explore the risk reduction of aviation security measures in other western countries and in Israel. The benefit-to-cost ratio is then calculated for most of the security measures. It considers the costs and the risk reduction of the layer, the losses from a successful terrorist attack, and the attack probability. It is found that the Joint Terrorism Task Force (JTTF) and police, PreCheck, Visible Intermodal Protection Response (VIPR) teams, and canines pass a cost-benefit assessment. However, it finds that air marshals and behavior detection officers, at a combined cost of nearly $1.3 billion per year, fail to be cost-effective. Accordingly, there are likely to be spending reductions that could be made with little or no consequent reduction in security. The support of the Australian Research Council grant DP160100855 is acknowledged.